The Mazda CX-9 2019 Philippines is a three-row SUV with stunning good looks combined with capable performance. What's more? Click to find out! It’s apparent nowadays that all major companies have a large three-row crossover SUV in their respective lineups. 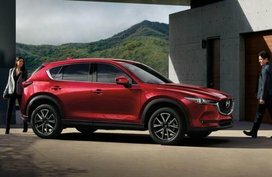 In the case of Mazda, it’s the Mazda CX-9 2019 which, like the Mazda MX-5, has become one of the most easily recognizable vehicles in the Philippines, mainly due to Mazda’s unique and visually appealing design cues. The company has dubbed this design language as KODO, which Mazda head of design Ikuo Maeda says was made to portray the potential for motion; imagine a motionless tiger ready to attack its prey, or a swordsman’s hand floating above his sword’s hilt, ready to draw and strike. 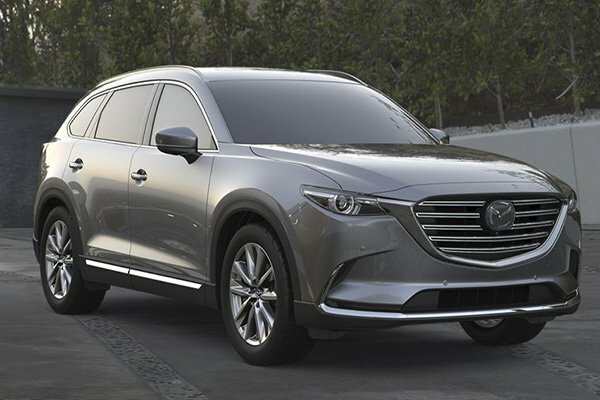 So, what should we expect from this new Mazda CX-9 Philippines? 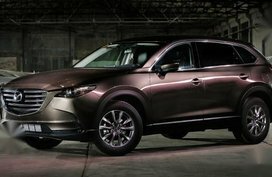 Find out the answer in our Mazda CX-9 2019 Review by Philkotse.com. The 2019 Mazda CX-9 Philippines: What an SUV looks like with the Kodo design philosophy! 2019 Mazda CX-9: FULL REVIEW | Fixing the Few Flaws for 2019! 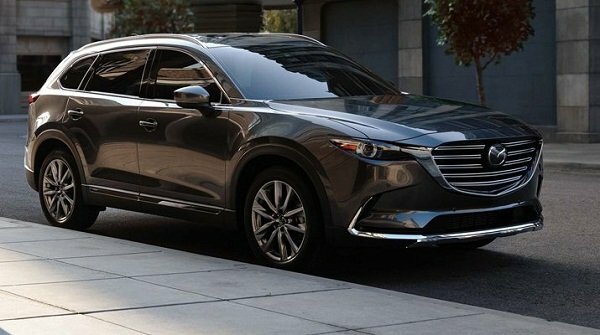 Overall, we could safely say that the 2019 Mazda CX-9 exterior looks uniquely great! 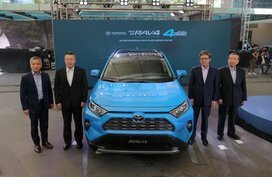 The car owes this to the aforementioned KODO design which can be gleaned from the crossover SUV’s single character line that runs along its length, its fluidly smooth body shape, and aggressive grille. The FWD Sport Touring version packs 18-inch wheels while the AWD Signature series variant stands on 20-inch alloys. Aside from that, there’s not much difference between the two in terms of looks. 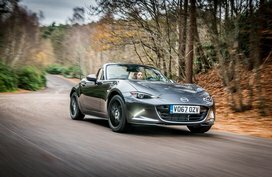 Among the other crossovers available in the market today, the new Mazda has a considerable road presence, measuring in at 5075 mm in length, 1960 mm in width, and 1716 mm in height, with a curb weight of 1908 kg. Now that’s quite hefty. That however isn’t an issue because of the CX-9’s powerful engine but more on that later. Like any other modern vehicle, both versions of the CX-9 come equipped with power adjustable view mirrors, automatic headlamps (halogen for the Sport Touring version, LED for the Signature variant) and a remote gas cover. While the Signature variant has the bonus of a power tailgate, both versions do not currently offer roof rails, which I’m sure many aftermarket companies are all too willing to address. 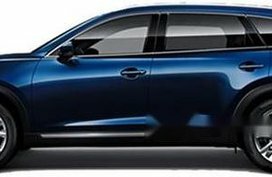 At the time this article is being written, both versions of the Mazda CX-9 exterior come in a range of six dark, sedate colors: Deep Crystal Blue, Jet Black, Machine Gray, White Pearl, Sonic Silver, and Titanium Flash. The current color selection says much about how Mazda wants the CX-9 to be perceived: sensible, elegant, and professional, like how one would perceive a sharp-dressed man in a suit. Owing to its sizable dimensions, both Mazda CX-9 2019 variants can comfortably seat seven people. 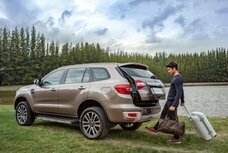 It can also store about 198 liters of cargo space which is enough for a small family going out for a weekend out of town. Both the Sport Touring and Signature versions offer standard leather upholstery that have good stain and wear resistance, with the latter featuring seats draped in Nappa leather and rosewood accents to give it a plush, upscale feel and look. 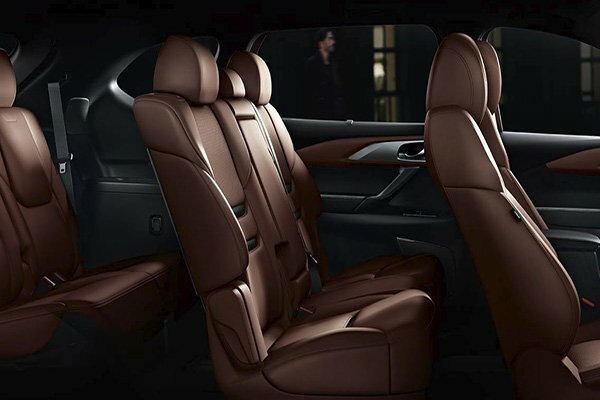 Another thing that the 2019 CX-9 has over the Sport Touring version are driver and passenger seats equipped with ventilation, which provides added comfort during those hot weather days. Both versions of the Mazda CX-9 interior come standard with push button start for the engine ignition. 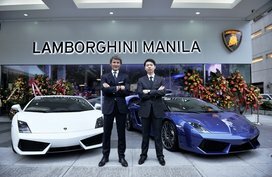 As for entertainment, both come equipped with an 8-inch touchscreen LCD monitor with Bluetooth hands-free communication, Apple CarPlay and Android Auto connectivity. The Signature version further offers a heads-up display (HUD) projected onto the windshield, and a 12 speaker Bose sound system. Both the Signature and Sport Touring versions come with cruise control, tilt and telescopic adjustable steering, and steering wheel-mounted audio controls. Overall, the 2019 Mazda CX-9 interior's equipment placed in a way that’s accessible and ergonomic. The seats, the steering wheel, the controls are easily recognizable and are positioned within easy each. The CX-9 handles more like a sedan rather than a large crossover, which some people might prefer while others might look for the added heft. The greenhouse provides good all-around visibility, complemented by the 360-degree camera offered on the Signature variant. As we’ve mentioned earlier, the Mazda CX-9, like any other crossover SUV is a bit hefty on account of its size. 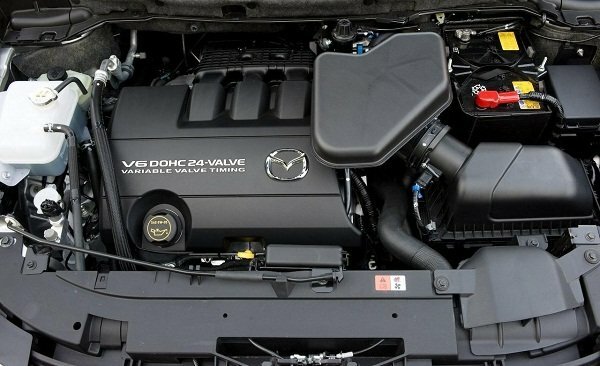 But its SKYACTIV-G 2.5L inline four DOHC engine more than makes up for it, producing 228 horsepower and 420 nm of torque, with the added bonus of turbocharging. That’s a good plus especially for gearheads out there who will appreciate the added muscle to go with the looks. Both the Sport Touring and Signature versions offer a SKYACTIV 6-speed automatic transmission with Sport mode. 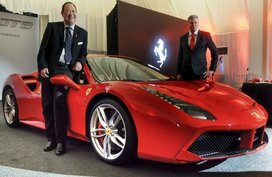 The difference between the two, however, is that the Sport Touring is driven by the front wheels while the Signature variant utilizes all four wheels through the i-ACTIV All Wheel Drive system, which grants it better handling across a range of road surfaces apart from distributing power more evenly. Despite the differences in drivetrain however, both versions are agile on the road thanks to their light, responsive steering. 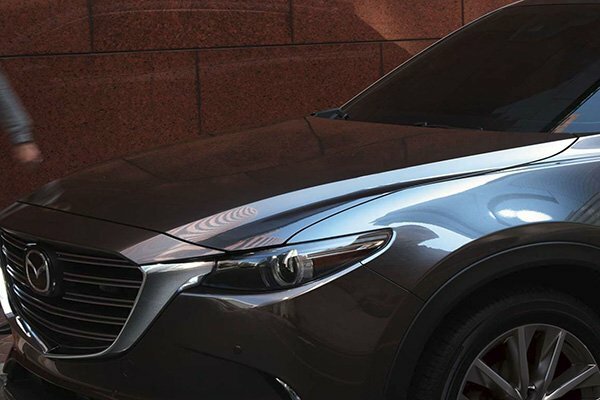 Both versions of the 2019 Mazda CX-9 have four-wheel disc brakes to provide more than enough stopping power for their size and weight. 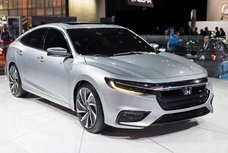 Each has airbags for the driver, passenger, side airbags and curtain airbags, with electronic brake force distribution and brake assist, stability control, child lock protection, keyless entry and parking sensors. The Signature variant moreover offers lane departure warning and blind spot monitoring system. 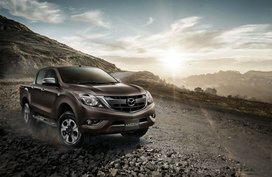 Is this Mazda CX-9 Philippines review convincing enough to prompt you to drive home this handsome 3-row SUV? 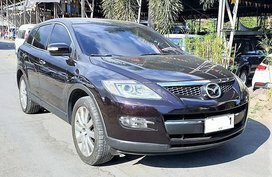 Check out our list of Mazda CX-9 2019 for sale by certified dealers in the Philippines. Your next car may be just a few clicks away!